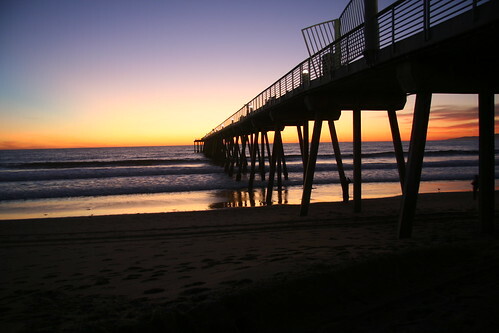 To search MLS Home Listings for Hermosa Beach, Click Here. Hermosa Beach is a beach community in the South Bay of Los Angeles, bordered on the north and south by Manhattan Beach and Redondo Beach. The city consists of 1.3 square miles and has a very interesting history. 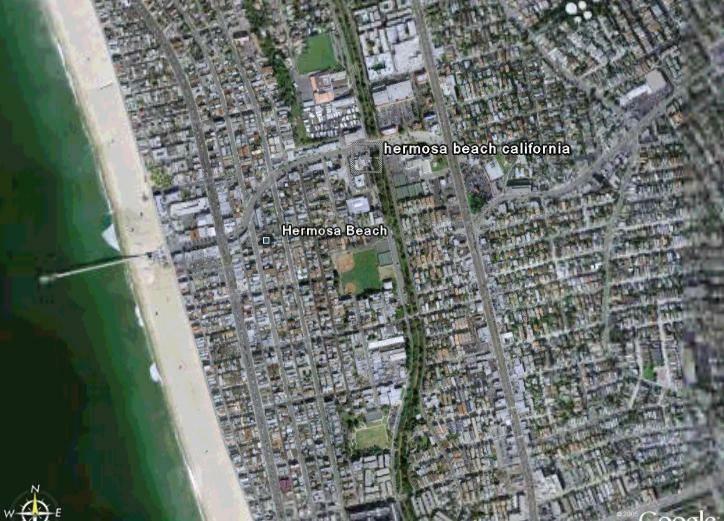 Sand Section: This neighborhood is adjacent to the ocean and is bordered by Herondo Street on the north (the northern boundary of the city adjacent to Manhattan Beach), Valley Drive to the East, and the southern border of the city. The area to the west of Hermosa Avenue is particularly desireable, and has alternating streets either open to traffic or closed to traffic (known as walk streets). The beachfront properties are adjacent to the Strand, a promenade that runs the length of the city's beachfront. There are three parks in this area, South Park, Cypress Park and Valley Park, all on the western side of Valley Drive. Valley Section: This neighborhood is bordered by Valley Drive to the West, Pacific Coast Highway to the east, and the northern and southern borders of the city. This area is primarily hilly in terrain. Hermosa East: This neighborhood is bordered by Pacific Coast Highway to the west, Prospect Avenue to the east, Artesia Boulevard to the north, and Anita to the south.This area has flatter terrain, and since it is furthest from the beach, the home prices here tend to be lower than the other two areas of Hermosa Beach. Hermosa Beach is home to the Hermosa Beach Playhouse, a 502 seat venue for local stage theatre. The theater is used for professional theatrical productions, amateur ventures, community theater groups, dance recitals, film premieres, as well as conferences and seminars.The Comedy and Magic Club is located on Hermosa Avenue and is part owned by Jay Leno, who performs there on a regular basis. There are numerous restaurants in the vicinity of the Hermosa Pier, several of which are on the Plaza area in front of the Pier, which is closed to traffic. The Hermosa Beach City School District consists of only two elementary school sites, one for grades K-2 and the other for grades 3-8. High school students attend one of two high schools outside the city limits. High school students who reside in Hermosa Beach have the choice of which high school they may attend -- Redondo Union High School in Redondo Beach or Mira Costa High School in Manhattan Beach. This choice is guaranteed through legislation that was enacted in 1993 and will not change. These schools maintain very high test scores on state standardized tests. The City has numerous small neighborhood parks, and a jogging/walking trail adjacent to Valley Drive constructed in a previous railroad right of way. Youth sports include little league baseball, AYSO soccer, basketball leagues, etc. Property Taxes: The property tax rate for the fiscal year 2011-2012 is 1.037488% (computed by the standard 1.0% of the property's assessed valuation (in accordance with Proposition 13, a property's assessed valuation is the original purchase price, plus the cost of improvements, based on the value of permits pulled, plus an increase in valuation of 2% per year) plus additional tax rates for voted bonded indebtedness) plus direct assessments of approx. $200-$300 per parcel for such items as school parcel taxes, etc..